Bath-headquartered residential property developer Crossman Homes is installing electric car charging points at five of its most recent schemes and is committed to integrate them into all future projects. The developments to benefit from the charging points are Weston Park and Lansdown Court in Lansdown, Bath, along with three in Bristol. Crossman Homes managing director Brad Hughes said: “As responsible developers it is our duty to ensure we’ve future proofed our developments and made provision for our homeowners to make greener choices when it comes to transport and travelling, and often this starts at home. “Electric car ownership is growing in popularity and will soon be much more accessible to many more drivers, so anything we can do to make owning and charging these vehicles easier can only be a good thing. There will be one charging point each for the two big town houses in Weston and one for communal use at Lansdown Court – both in Bath. 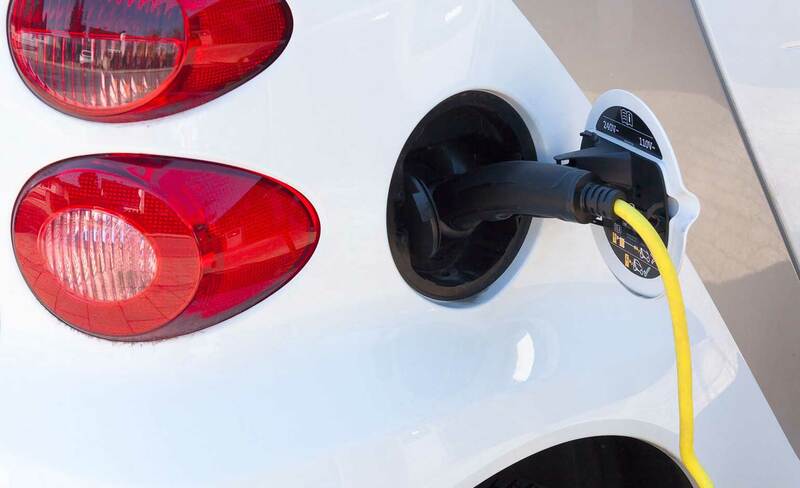 Figures published by the Society of Motor Manufacturers and Traders (SMMT) show a dramatic rise in electric car sales in the UK. Registrations increased to an average of 5,000 a month last year. Crossman’s Bristol schemes where charging points will be installed include Master’s Church site, adjacent to the Whitfield Tabernacle in Kingswood; one of the UK’s most at-risk Grade One listed buildings, which it is hoping to help renovate alongside the Whitfield Tabernacle Trust, and the derelict Speedwell swimming baths site, which is to become social housing. Three aockets for communal use will be installed in the flats at Speedwell, one for each house and a few communal ones at Kingswood, and the second phase of six houses at Totterdown will all have their own charge points.